i Click 'view all' to instantly compare this good deal with offers on other top fitness trackers. 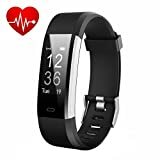 Lintelek Fitness Tracker Slim + Heart Rate Monitor Business Black is currently selling at $28.98, approximately $0.15 lower than average, giving a potential saving of $2.00 right now. With a lowest price of $28.98 and an average of $29.13 it is selling on the low end of its usual range. Price volatility is 0.45% (meaning it does not change often), so the price should stay low for a while. Right now this product is a recommended 'good deal'. The current deal is also the best price on this item over the last month. 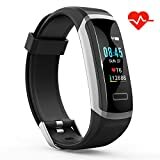 Compare the current price, savings (in dollars & percent) and Buy Ratings for the top Fitness Trackers that are closely related to Lintelek Fitness Tracker Slim + Heart Rate Monitor Business Black. Here is how Lintelek Fitness Tracker Slim + Heart Rate Monitor Business Black compares with other leading Fitness Trackers. Newly upgraded Lintelek fitness tracker with heart rate monitor,everything you need for a activity tracker. It can work with iOS 7.1 & above or Android 4.4 & above. Smartphone only, You can download the latest upgraded veryfitpro app with more energy-saving features and connect it with the product to experience more features. To reduce measurement mistakes, this product will start counting steps after continuously 40 steps . 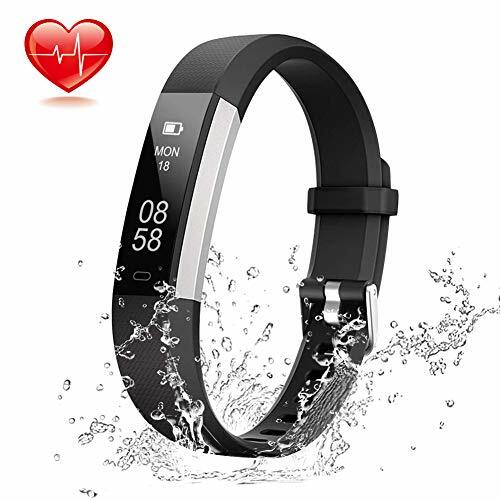 KEY Features: Heart rate monitor: All-day heart rate monitoring focuses on your health and monitor your exercise intensity. Remote Camera Shooting: Remotely control photography shooting. Sleep Mode: Automatically sleep monitor to analyze your sleep quality. OLED 0.86 Inch Screen: View your health data on a bright and clear OLED. Call Alert: The tracker vibrates when a call is coming in. You could never miss any important calls with this fitness tracker. Alarm Alert: The smart alarm clock wakes you up by shaking your wrist and does not have to worry about disturbing people around you. SNS Alert: Receive notifications from other apps (Facebook, WhatsApp, LinkedIn, Instagram, and Twitter) on your tracker screen. Intelligent sensing: When you raise your arm, the screen will automatically light up. Waterproof Rate: IP67 water resistant, sweat-proof, rain-proof, but do not wear it when you are showering or swimming. Here's the right way to charge the device. 1.Take the device off the straps. (from both sides) 2.Use the side with metal chip to plug in a usb interface. 3.Check if the red light is on. If not, turn the device over then plug in again. Model: ID115U HR Band: TPU material, very comfortable and adjustable anti-lost straps Packing: 1 x Lintelek Smart Bracelet 1 x User Manual Features·No charger needed and long Standby: Just take the devices off the band and use the part with metal chip into any USB interface.5 days of working time only takes 1.5 hours to fully charge.·Fashion design & Colorful bands: Slim body,Skin-friendly material and light weight bring you comfortable sports experience.No-sense of wear during sleeping.·Your intimate health assistant: All-day tracking your steps, calories burned,distance walked, sleep conditions. Newly upgraded heart rate function, testing your real-time heart rate ,making you know more about your tensity.·SMS real-time reminder? Once connected with app, fitness tracker will vibrate and display the message content so that you will not miss important messages and calls, When a mobile phone has an incoming call and a text message.